Claire presented a paper on violent crimes committed by Chinese male servants in Singapore in the 1910s and 1920s. Shireen Ally gave a paper on regulating race and maternity in relation to African domestic servants in South Africa. Nitin Sinha explored how the regulation of bazaars in Calcutta in the eighteenth century impacted on Indian domestic servants. Nitin Varma discussed the failed attempts to introduce law regulating domestic service in India during the nineteenth century. 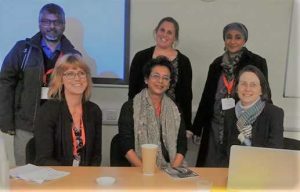 The panel was followed by a roundtable discussion with Victoria Haskins, Raffaella Sarti and Samita Sen on the concept of regulating domestic work in historical and contemporary contexts, and, in colonial and non-colonial contexts. One theme that emerged from the discussion was that while today the International Labour Organisation pressures states to regulate paid domestic work in order to protect the rights of workers, colonial era regulation often centred upon limiting the rights and personal freedoms of domestic workers. CASS promotes critical inquiry into the history, theoretical framing, and contemporary legacies of colonialism on a global scale. We foster work that places colonial and settler colonial formations in comparative and connected frames. We welcome inquiries about the centre and its activities. 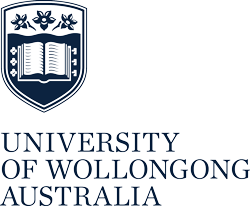 Email us at cass-admin@uow.edu.au or follow us on Twitter at @cass_uow.